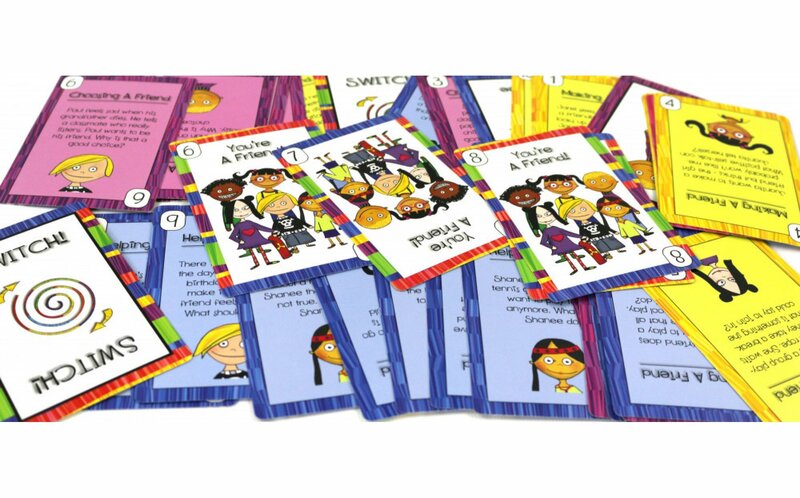 Using colorful cartoon illustrations, Let's Make Friends will help children learn to develop meaningful relationships with peers. 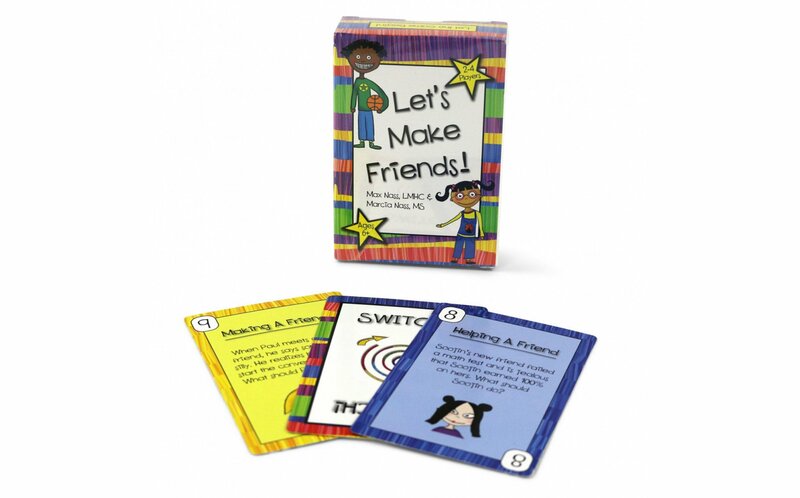 Includes cards for Choosing a Friend, Becoming a Friend, Making a Friend, Helping a Friend, and Problem with a Friend, The 86 cards each show a skill different skill for making and keeping friends. 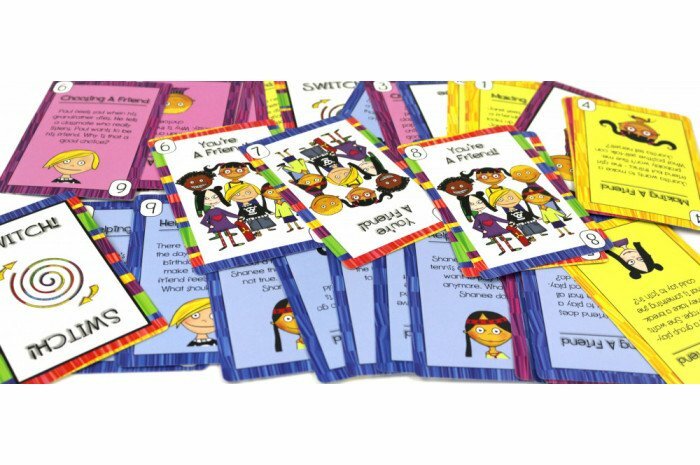 Fun cooperative game for 2-4 players. Juanita and her friend are playing checkers. Her friend changes the rules so she can win. What should Juanita do? 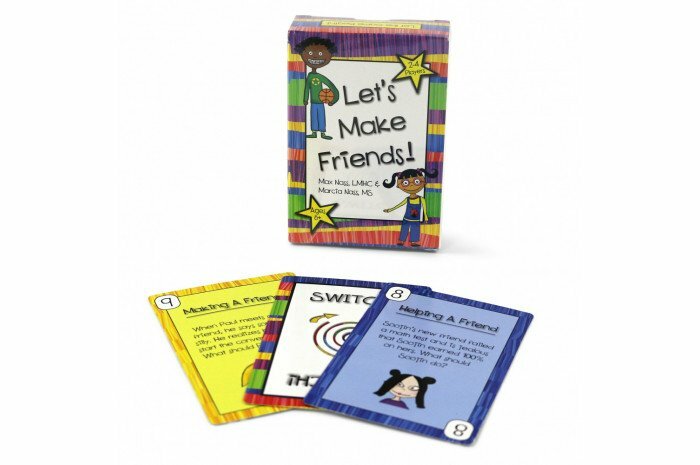 D'Andre likes to play with a friend who takes turns rather than one who is bossy. Why is that a good choice? There is a bad rainstorm the day of Paul's friend's birthday. No one can make it but Paul. His friend feels very upset. What should Paul do? Jarel's friend has a cousin who is visiting. Jarel feels left out. What should Jarel do?